The LBD Shirt & Tunic is a quick and fun sew. 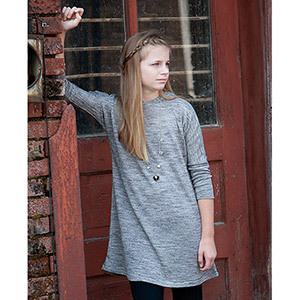 Choose from shirt or tunic length, short or long sleeve, boat-neck, cowl or hoodie. Add in-seam pockets to the tunic or a kangaroo pocket to the shirt. Also included is an optional hem band for the shirt view. This is the perfect transitional piece for your girl's handmade wardrobe. 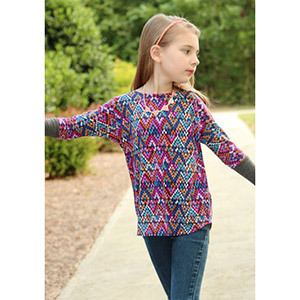 Made with knit fabrics, this gorgeous top is quick and easy to sew and wear! 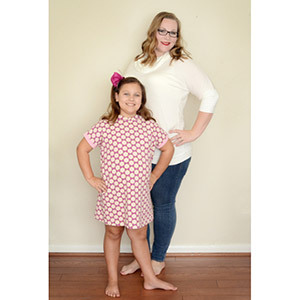 This pattern is available in sizes 2T to 16. 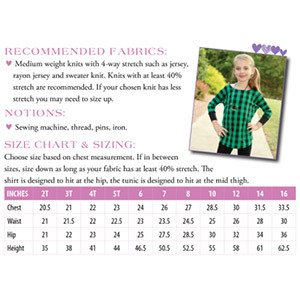 Suggested fabrics are cotton lycra, cotton jersey,cotton ribbed, and hacci sweater. 1/2 yard each for all sizes.